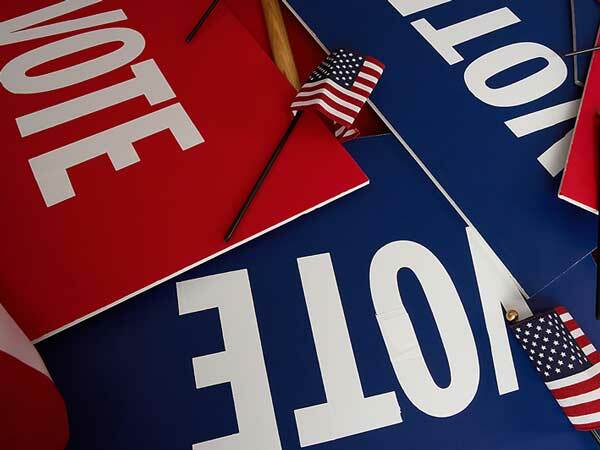 The South Carolina Primary Elections will be held Tuesday, June 10. All voters must present a valid photo identification to be eligible to vote. Valid forms of identification include a South Carolina driver’s license, a SC Motor Vehicle identification card, a voter registration card with photo, a federal military ID with photo, or a United States passport. It must be noted, if using a SC driver’s license or DMV ID card, the license or card must be current and valid; a voter registration card with photo may either be paper (a temporary card) or plastic (a permanent card). Additionally, the US passport may either be a plastic card or a paper book. The June 10 primary elections are to determine which candidates will represent the Republican and Democratic parties in the November election. When voting in the primary, the voter must say whether he will be voting Republican or Democratic and thus be given the proper ballot. However, voting in the Primary, whether for a Democrat or a Republican, in no way affects the way a person may vote in the General Election to be held in November. If there is a run-off from the Primary votes, the voter has to declare the same Party for voting in the run-off. Lieutenant Governor: R – Mike Campbell, Pat McKinney, Henry McMaster, Ray Moore. State Treasurer: R -Brian Adams, Curtis Loftis. State Superintendent of Education: R – Sally Atwater, Gary Burgess, Meka Basket Childs, Amy Cofield, Sheri Few, Don Jordan, Elizabeth Moffly, Molly Mitchell Spearman; D – Montrio M. Belton, Sr, Sheila C. Gallagher, Jerry Govan, Tom Thompson. Adjutant General: R – James Breazeale, Bob Livingston. Commissioner of Agriculture: R – Joe Farmer, Hugh E. Weathers. Lindsey Graham, Nancy Mace; D – Brad Hutto, Jay Stamper. U.S. House of Representatives District 3: R – Hosea Cleveland; D – Barbara Jo Mullis. Probate Judge: D – Sallie Cooks, Bobby E. Peeler. County Council District 1: D – Norman Dorn, Joe W. Quarles, Albert Talbert. Question #1:Should Article I, Section 3 of the South Carolina Constitution be amended to include the following language: The privileges and immunities of citizens of South Carolina and the United States shall not abridged, so that no person shall be deprived of life without due process of the law, nor shall any person be denied the equal protection of the laws. These rights shall extend to both born and pre-born persons beginning at conception. Question #2:Should South Carolina law be amended to replace the state income tax imposed on individuals, estates, trusts, and others by reducing the rate of taxation by 1.4 percent each year until the state income tax rate for all brackets is zero percent? Question #1: Do you believe each state – not Congress – should decide for itself whether to allow online gaming and determine how to regulate online gaming in their state? Question #2:The South Carolina Department of Transportation estimates more than $26 billion is required to fix South Carolina’s crumbling roads and bridges. Should gaming laws be modernized to fund the repairs instead of a tax increase? Question #3:Should medical marijuana be legalized for use in cases of severe, chronic illnesses when documented by a physician? Polling stations will open at 7 a.m. on Tuesday and will close at 7 p.m. To view sample ballots or for more information regarding this election, please call the Edgefield County Voter Registration Office at 637-4072 or visit www.scvotes.org.